In the meantime, I wanted to share a new barre burner I put together. I’m a huge fan of changing up my strength training routines, and I especially love that barre workouts, while using light weights, efficiently fatigue the muscles. There’s a great mix of compound movements (working multiple muscle groups at the same time) and tempo variations. It’s a strategy that I like to use in my own workouts outside the studio, and I’ve found that it’s a great way to keep things exciting and keep my body guessing. Here’s the workout, which is only eight minutes and can be completed up to three times. 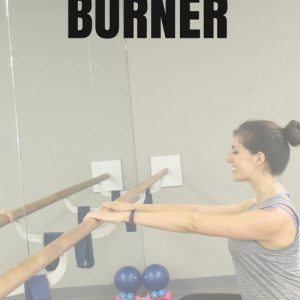 You could also combine it with this barre burner, this ab burner, and this HIIT workout to get in a killer total body and cardio workout at home. All you need is a pair of dumbbells or something to use for resistance! A challenge for you today, even if you don’t try the video: add in some tempo variations at the end of today’s workout. Start with full range of motion (10), tiny pulses (10) and a static hold. Let me know what you did and how it worked out for you 🙂 And if you try the barre video, shout it out in the comments! I always love to hear your feedback and future workouts you’d like to see here on ye ol’ blog. Check in for today’s giveaway here! Do workout steps count? →	← What would you ask Tony Horton? The fun thing on my agenda is we’re headed to a friend’s for dinner and everyone is bringing their dogs for a puppy play date! The unfun thing is that we lost power for 12 hours from a storm, but thankfully it’s back on (and all of my groceries didn’t spoil)! I went to my first barre class on Sunday. It was intense, definitely harder than I thought it was going to be. I’m looking forward to doing this workout when I get home from school today. Ohh I’m definitely going to try this! I love the movements in barre, but it’s hard to make it to the classes! This is perfect! I just came home from my morning walk with my pup and wanted to do some toning. 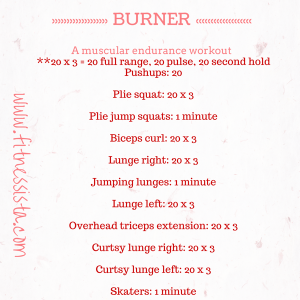 I gave this a whirl and wowoza, feel the burn! Loved it! Did the routine three times and feel awesome! I would love to try a barre class sometime! I’ve heard such great things about it. I will have to try your workout! Great workout! I love barre so much! I love Barre workouts. I wish I could find more time to fit it in my schedule. It really does burn! 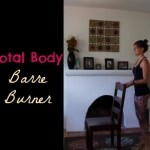 Love barre burners! Can’t wait to try! I am very intrigued by barre. I was wondering if you could give more info on how barre fits in with more traiditional strength training. Does it require at least 48 hours between workouts the way lifting weights does? Can it replace strength training? 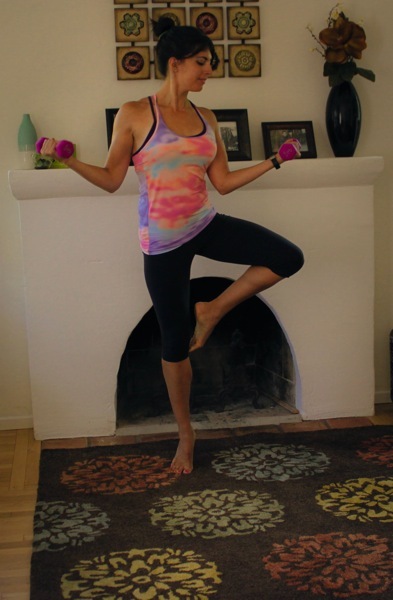 How do you incorporate both barre and strength training into a fitness routine? Have you noticed any increase (or decrease) in your strength since doing barre? Thanks! i’ve noticed my endurance has increased since barre exercises are high rep. for my other classes and for running, barre has helped to strengthen areas that are usually very weak for me (like inner thigh and glute medius). you can do barre every day, but i think the results and recovery are better if you take a day off in between. hope this helps a little! I was wondering the same thing. I want to incorporate a barre workout, maybe two, during the week, but when I lift, I normally lift heavy and intensely. Lately, I have been doing German Body Comp workouts twice a week, in addition to a sprint day and sometimes a yoga day. How would it fit in with those types of workouts, because they seem so different (at least to me!). Also, a Focus On post on Germany Body Comp or similar workouts would be fantastic! 😉 Always love learning new things on your blog. How did you know I was just trying to put together a barre-esque leg workout for today? 🙂 Thanks, friend…definitely giving this a try! 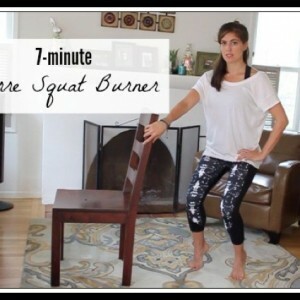 I love trying new at home workouts! Cant wait to test this one out! Great workout! 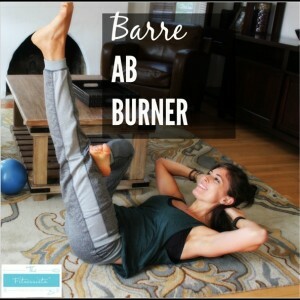 I love barre workouts and can’t wait to try this!! Love the yoga + barre move 😉 Also, I love that rug!! Totally agree with Vera! You always looked great but its even more so now (I didn’t think it was possible). Major envy 😉 Love your blog. Thank you so much for posting this video! I’m definitely going to give it a try! Totally not trying to toot my own horn but from someone who does heavy weights (15-20 pd)do you suggest going that light ? I keep reading about barre and a barre studio just opened by us want to try it!! Awesome! I will be trying this tomorrow! 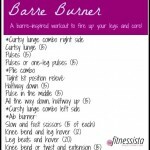 This was the first time I tried a barre workout, I did both of the ones you posted. Dripping in sweat! Just did this workout! Loved it! Boy my thighs were burning (despite being a regular runner). Love barre workouts for that exact reason. Can’t wait to see the next one you post! Did the video and loved it. Only 1 time through because I also did SSU 4 and some HIIT. I was feeling really good today, what can I say. Now I am hoping to walk without grimacing tomorrow! so happy you’re enjoying them! !